Planning a day trip out of London? Looking for somewhere a little more quaint to while away a few hours? We feel like that some days too, which is why we've put together this list of pretty towns and villages to visit to the south east of London. They're all within 30 minutes driving distance of the good ole' M25 (and yes, you will need a car to visit most of them). Being quaint they're quite petite, so you'd struggle to find enough to amuse yourself for a whole day, which is why we've suggested some other places you could visit nearby, once you've exhausted those Tudor frontages and traditional tearooms. 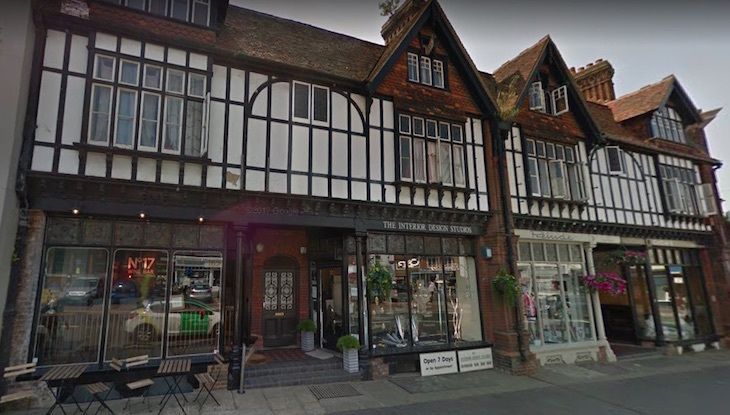 Westerham is only just outside of the M25 — it's practically in spitting distance of the Clacket Lane service station, and TfL bus route 246 trickles through the middle of the village on its verdant route between Bromley and Chartwell. The roar of traffic is a distant memory though, once you reach the epicentre of the town, complete with village green, independent shops and mock Tudor frontages — all you need for that bucolic day out. Winston Churchill and James Wolfe both oversee proceedings in statue form on the green. 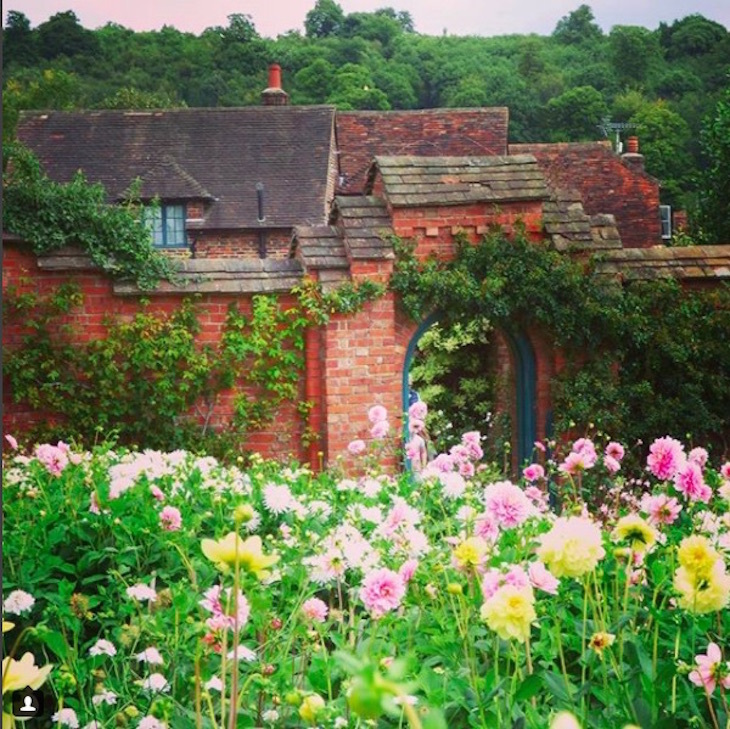 Nearby: The big attraction of the area is Chartwell, a National Trust property and former country home of Winston Churchill. The house itself is impressive, and it's fascinating to look inside Churchill's art studio, but what people don't tell you about is the views. We're telling you now; go for the views over Kent. Getting there: Westerham is a 10 minute drive from Junction 5 of the M25. The nearest station (Oxted) is a couple of miles away. Chiddingstone is so quaint that the whole flippin' village is designated as a National Trust property. 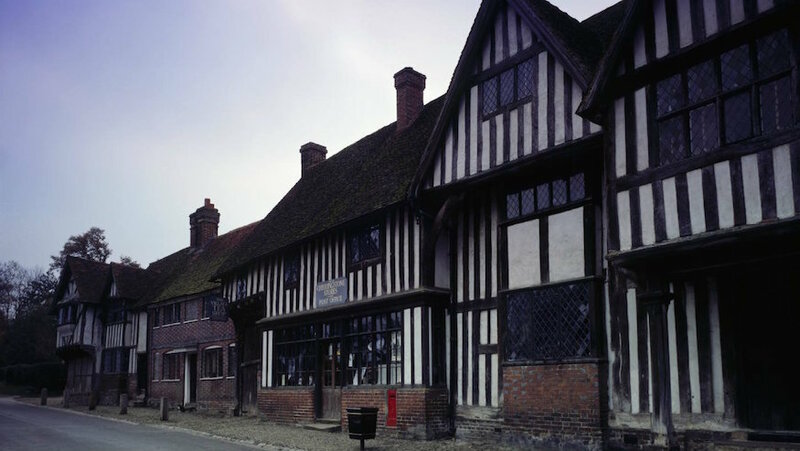 It's the most accurate surviving Tudor village in Kent, with a Post Office, tea rooms, a church, a primary school and a traditional pub. Tearooms too busy? Jump back in your car and head to the Little Brown Jug pub on Chiddingstone Causeway (they serve a fab breakfast). Nearby: Chiddingstone Castle is just a short drive from the village, and the better-known Hever Castle is just a few minutes drive. Getting there: A 20 minute drive from J5 of the M25. Parking is on-road and very limited, especially at weekends in the summer. Public transport options are limited, with the nearest station (Chiddingstone Causeway) 3 miles away. 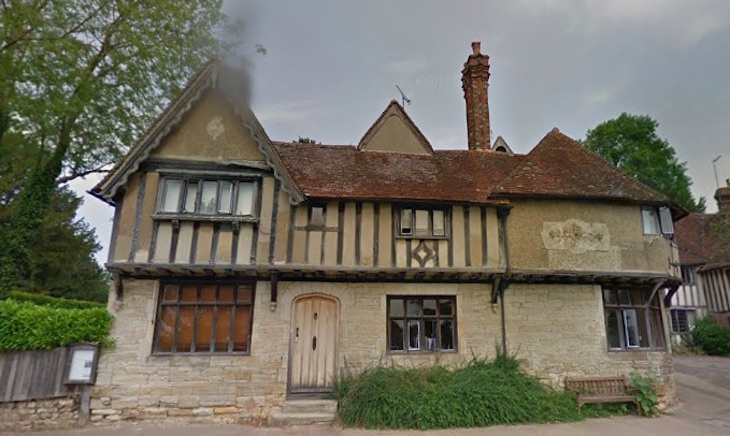 If you're not from these parts and you've heard of Penshurst, it's probably due to Penshurst Place, a 14th century manor house that's featured in the likes of Wolf Hall and The Other Boleyn Girl. Penshurst Place and its glorious gardens are open to the public. Henry VIII used it as a hunting lodge, and Queen Elizabeth I was known to visit, so it's got a fair bit of history going for it. The 50 acre gardens and grounds are home to lakes, an arboretum, and a series of 'rooms' designed around the different seasons. How very idyllic. Once you're done with those sizeable grounds, head out to the otherwise petite village for a wander around. If you can ignore the traffic, it's the sort of village you can imagine Jane Austen's characters walking around, all bonnets and baskets and ducks roaming the streets. 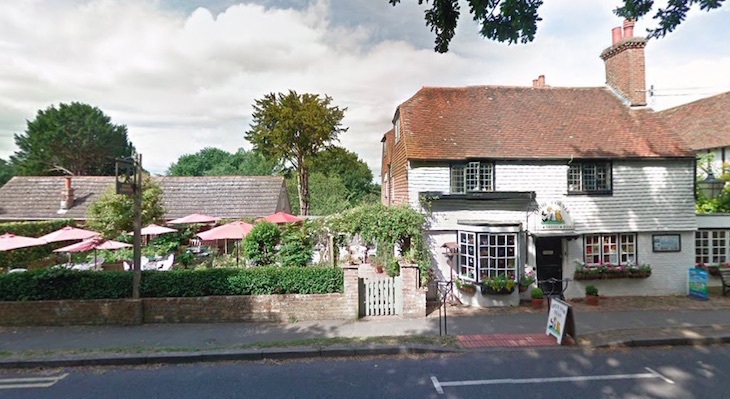 Plus, it wouldn't be a Kentish village without tea rooms. Nearby: Chiddingstone Village (above) is only a 1o minute drive away, or if you've not had enough of sprawling country estates, drive 15 minute in the other direction for Groombridge Place, with secret gardens, an enchanted forest, treetop walkways, canal boat rides and farm animals. Getting there: From Junction 5 of the M25 it's about a 20 minute drive to Penshurst. The main point of interest in Eynsford is that eponymous ford, which is actually the River Darent running across the road of Riverside in the centre of the village. Don't fancy risking your car in the waters? There's a picturesque stone bridge running across the river too. Architecturally, Eynsford's a bit of a mishmash and not as quaint as some of the places on this list. You'll find mock Tudor cottages alongside more modern semis. It's very much a rural village, although it caters for hungry tourists in the form of the Riverside Tearoom and two pubs, the Five Bells and The Malt Shovel (which serves excellent fish and chips, by all accounts). Nearby: Once the novelty of that ford has worn off, other local attractions include Eynsford Castle (which has a small car park, and is easy walking distance to the village itself), Eagle Heights Wildlife Foundation, Lullingstone Castle (they like a castle around these parts — this one has a fantastic garden that'll appeal to anyone with green fingers) and Lullingstone Roman Villa. If you find yourself visiting during a certain couple of weeks in summer, The Hop Shop offers tours of its lavender fields in full bloom — the whole experience is more rural Provence than Home Counties. Getting there: Just a few minutes drive from Junction 3 of the M25, via the A20. If you're willing to drive a bit further (about half an hour from M25 Junction 6), head to Hartfield. 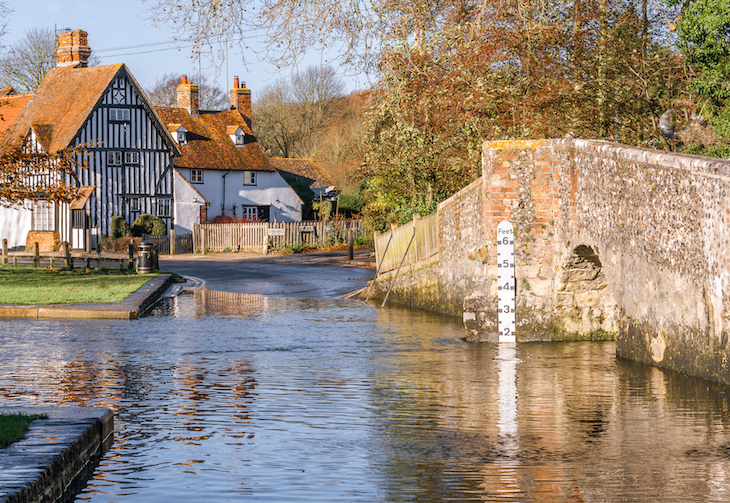 The East Sussex village was the home of Winnie the Pooh author AA Milne, and it plays up to its fictional ursine resident, with a Pooh-themed gift shop and tea rooms, Pooh Corner, all housed in a gorgeous cottage. 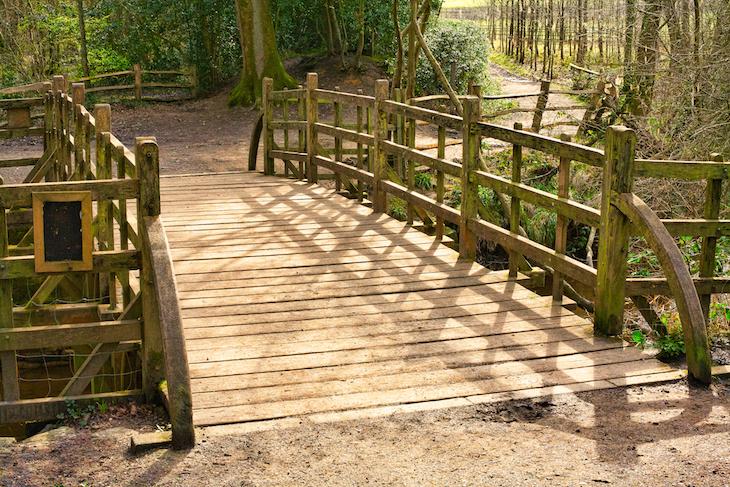 It's in the Ashdown Forest so there are plenty of Pooh & co. themed walks nearby, including one to Pooh Sticks Bridge (top tip: if you've got little legs with you, drive to the car park closer to the bridge — it's a fair old trek from the shop itself). Pick up a map of walks from the shop and spend the day exploring Milne's locale. Nearby: Swap the bear for beer at The Anchor Inn in the village, if the Pooh factor all gets a bit twee. It does a pretty fine line in pub grub, in a building dating back to the 15th century. Otherwise, Groombridge Place (see above) is a 10 minute drive away. Getting there: Take Junction 6 or the Or why not join it with a trip to Chiddingstone or Westerham above?